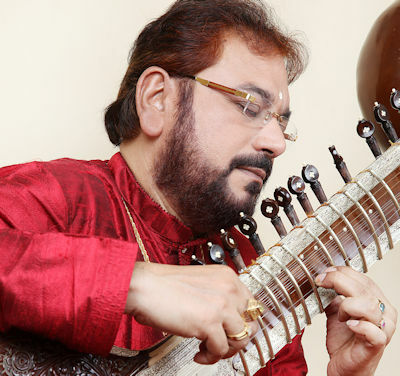 Kushal Das is one of the leading sitar players of India today. He hails from a family of musicians and was born in Kolkata in the year 1959. His grandfather late Bimal Chandra Das was a famous Esraj player; his father Sri Sailen Das and his uncle Sri Santanu Das are highly recognized Sitar players. Kushal received rigorous training in advanced Sitar styles and the art of music under the tutelage Prof. Sanjoy Banerjee and Pt. Ajoy Sinha Roy. In order to accomplish a more profound understanding of Raga interpretations he took additional vocal lessons with Pt. Manas Chakraborty and Sri Ramkrishna Basu. Kushal Das has performed in almost all the famous Music Festivals in India and has also traveled widely all over the globe. Kushal Das is a Top grade musician of All India Radio and Doordarshan, the leading media regarding classical Indian music in India. Since 2002 Kushal Das also plays the Surbahar in addition to the Sitar. He has many commercial albums to his credit. Ramdas Palsule is a familiar name in Hindustani music as an intellectual Tabla Player. Having achieved Bachelor's degree in engineering, Ramdas carved a niche for himself a senior disciple of Tabla Maestro Taalyogi Pt. Suresh Talwalkar. He is an accomplished soloist as well as a versatile accompanist. He has performed widely in all the eminent music festivals of India. Outside India, he has performed in several countries of the world, including the U.S.A., Canada, U.K., Germany, Switzerland, Austria, Australia, Africa and the Gulf countries. He has accompanied most of the distinguished vocalists, instrumentalists and Kathak dancers of the contemporary times. 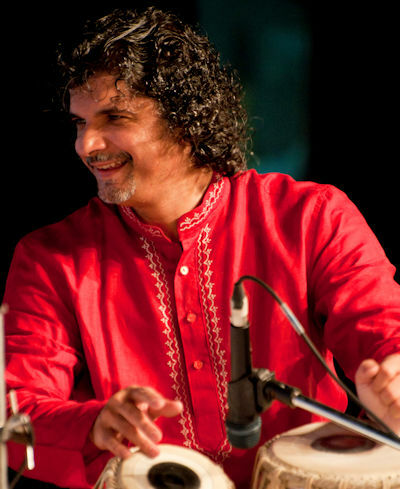 Besides performances, Ramdas imparts training to the younger generation of students of Tabla. For past twenty years he has been on the faculty in the Center for Performing Arts of the University of Pune. Ramdas has been instrumental in the conceptualization of AVARTAN GURUKUL, which started its operation in 2016. Stalwarts musicians and dancers like Taalyogi Pt. Suresh Talwalkar, Pt. Ulhas Kashalkar, Pt. Uday Bhawalkar, Pandita Shama Bhate, Pandita Sucheta Bhide Chapekar and Ramdas himself are the Gurus of this Gurukul.